A simple change of sleeping position, from face down to face up, could greatly decrease the risk of brain injury and disability for extremely preterm babies, born between 24 and 29 weeks. While advances in medical care have increased survival rates for early preterm babies, the first weeks of life are the most tenuous for these tiny patients. One of the biggest challenges is ensuring they get enough oxygen to reduce the risk of brain injury and life-long disability. Currently, most preterm babies in intensive care are placed in the prone position (face down) to sleep as it is believed this improves breathing and increases oxygen to the brain. 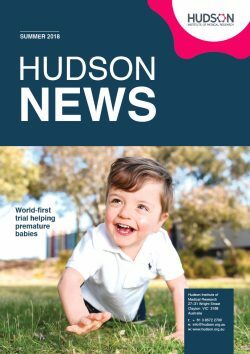 A study by Associate Professor Flora Wong, who is Research Group Head at Hudson Institute and Monash University, and a neonatologist at Monash Health, and PhD student Kelsee Shepherd, has found that, in the first crucial weeks of life, placing extremely preterm babies in the prone position reduces oxygen to the brain. 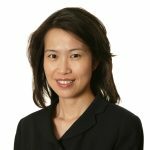 “We have shown that there is no evidence that this position improves their long-term outcomes, in fact it may be detrimental,” said A/Prof Wong. The research published in the Journal of Pediatrics was undertaken because the sleeping position for preterm infants in intensive care is the opposite to term babies who are placed in a supine position (face up) – a position that is encouraged to prevent Sudden Infant Death Syndrome. Fifty-six preterm infants (28 girls and 28 boys) took part in the study during the first weeks of their life. Researchers analysed the infants’ oxygen levels to their brain. Nine per cent of births, more than 27,000 babies, are born prematurely each year. One in five preterm babies require resuscitation at birth. This is over 14.5 per cent of all babies born and translates to over 115 admissions each day. Fifteen million babies are born preterm. That is more than 1 in 10 babies. Preterm birth complications are the leading cause of death among children under five years of age, about 1 million deaths in 2015. Many survivors face a lifetime of disability. Three quarters of these deaths could be prevented with current, cost-effective treatments. The study was undertaken in stable preterm babies. To verify the findings, A/Prof Wong and her team will extend the study to unstable, at-risk babies. 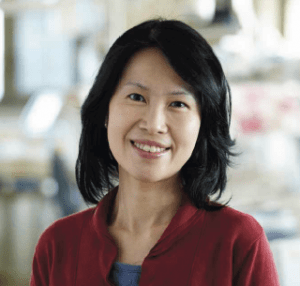 A/Prof Wong aims to take the research to clinical trial, where face down sleeping will cease for extremely preterm babies in their first week of life. The outcomes from the trial may inform clinicians when deciding on techniques to protect the preterm brain. Collaborators: Baker Heart and Diabetes Institute, Monash Newborn, Monash University. Funders: NHMRC, the Scottish Cot Death Trust, Victorian Government. This news article was posted on 29 March, 2019 .